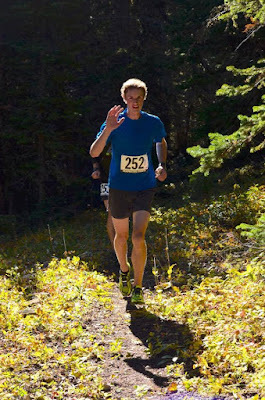 The Nitty Gritty half marathon is part of a day of trail racing in Red Lodge. There is a marathon, marathon relay, the half marathon, and 4.37 mile 'hot lap'. 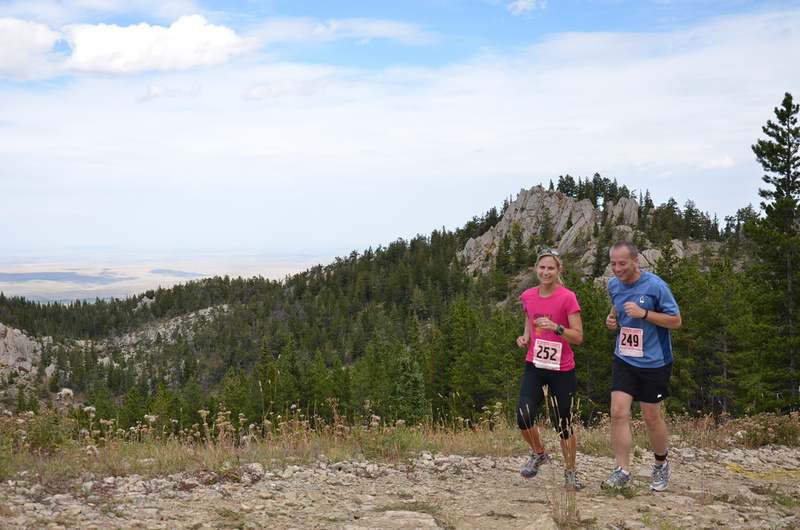 While only the half marathon is part of the Treasure State Trail Series, all the races involve a serious amount of climbing. 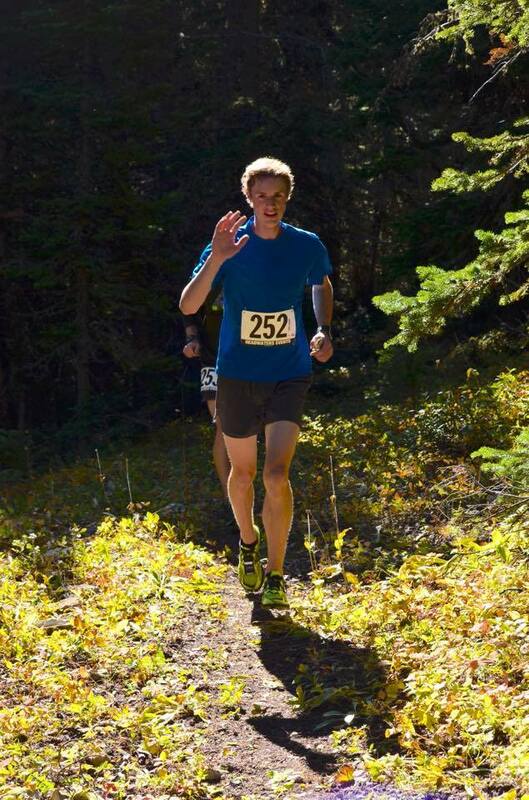 The race is based out of Red Lodge Mountain Resort and so has ample space for a festive post race atmosphere. 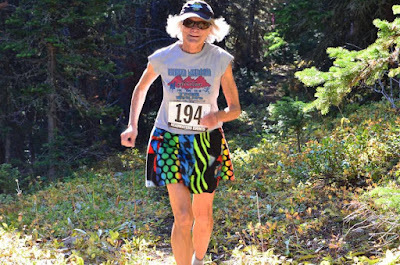 Registration is still open for the September 16th Nitty Gritty and after catching up with Race Director Kristen Hollum it sounds like a great event to jump into for the weekend. How did you become involved with Nitty Gritty? I was really broke when I first moved to MT and would volunteer my way into races. After a couple years of that the company that put on a lot of races in town changed hands, had a transition year where I learned the ropes from Jennifer Drinkwalter (event organizing wizard with Cycle Greater Yellowstone), and this is my second year managing the races. What's the history of the Nitty Gritty? How did it get started and when? The race was the brain child of Paul Otsu who ran the original event company Headwaters Events (he now owns a totally awesome screen printing shop Headwaters Studios). I think he just wanted to get more people up at Red Lodge Mountain appreciating the trails (they don't have any summer operations) in a unique way. Its been going on for 5-6 years so its still pretty new but has a cult like following among the participants. The course changes every year so veteran participants don't necessarily have an advantage. The elevation gain usually runs between 9k-12k for the marathon. There are multiple events at the Nitty Gritty. While only the half marathon counts for points in the Treasure State Trail Series, what other options are there for people? The primary race has always been the marathon relay. Six loops on the course make the marathon so you can do teams of 2-6 people. The smaller teams work based of strategy -who runs multiple laps, do they run it consecutively, etc. We also have a solo marathon for those that want to go big and a hot lap option for those who want a shorter, but still challenging race. This year we're also allowing well behaved dogs on the course and dogs that complete the half or full will be crowned TOP DOGS. I see there are themed aid stations, what can runners expect out there on the course? We're actually in the process of still recruiting volunteers for this aspect....turns out its really hard to get a commitment out of high school kids unless its the day before! Regardless, there will be an aid station halfway through the loop so participants will have access to water/snacks every couple miles along with cowbell and music! Speaking of the course, what does the course profile look like? The course changes each year and this year we've got them headed to the Midway Lodge for their highest point. We scrapped a steep, bushwacking uphill for a longer, more mellow uphill grind (it'll give runners an appreciation for Green Circle ski trails). We don't have any fancy technology to get the elevation and perfect course map but you can get the picture looking at the maps. With a smaller race the looped course is great because runners don't ever feel like they're out in no mans land all alone. What is the post race scene like? Since the course is looped the finish is also the start is also the aid station so its a constant party of people eager to run, tired from running, or mid run. Its also a great spot for spectating. We try to stagger the starts of the races so people finish at relatively the same time but if everyone from a certain race is finished we'll do their awards. We'll have beer/cider from Red Lodge Ales, yummy snacks, and music. The post race really follows the vibe of the entire race -its low key and filled with great people. Red Lodge has a lot to offer, what would be your top recommendations for post-run activities if runners want to hang out a bit longer? Red Lodge is such a gem -for a small town there is ALWAYS something good going on. We've got some great food (just got an awesome BBQ joint), Red Lodge Ales has awesome beer (and runners will find some at the race), and all our local businesses are great. If they stick around until night time chances are they'll find some good live music at a couple bars. Pending mother nature the Beartooth Pass should still be open so you can take the scenic route home if you're coming from the Bozeman area. When we say 'low key, high elevation' we mean it. This isn't a race for someone who wants fancy amenities, chip timing, and big finisher medals. This is a race for people who love the community that is trail running, want to challenge themselves, and above all have a damn good time. Thanks Kristen!....If you would like to register for any of the races at the Nitty Gritty you can do that here.